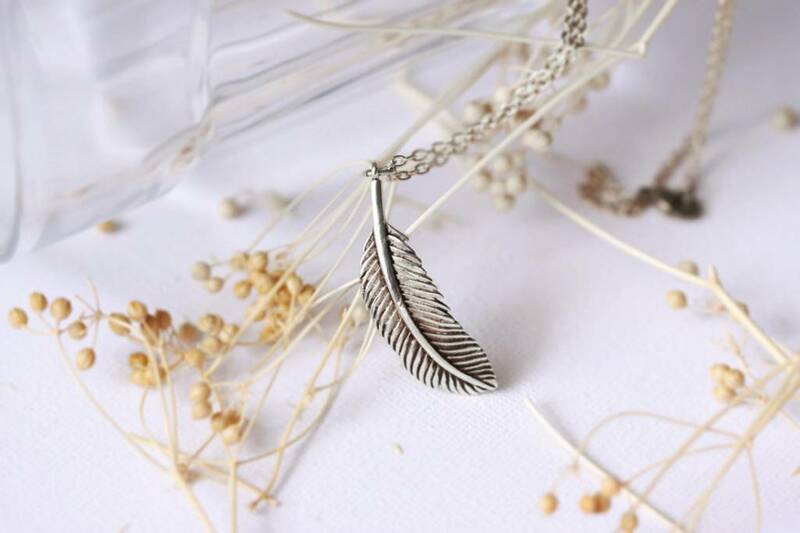 An elegant single feather necklace in 100% sterling silver. 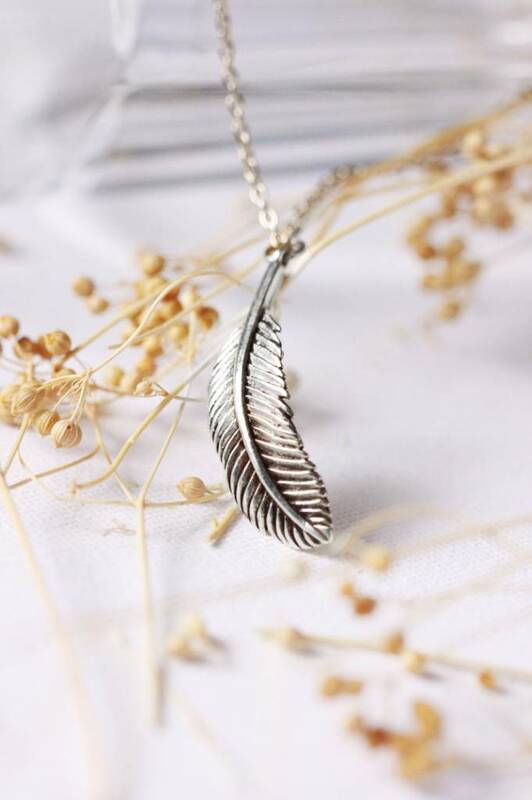 This single feather necklace delicately hangs from a 30" chain and is made of 100% sterling silver. From Migration's in-house line and made in small batches, each one is unique and nickel free. 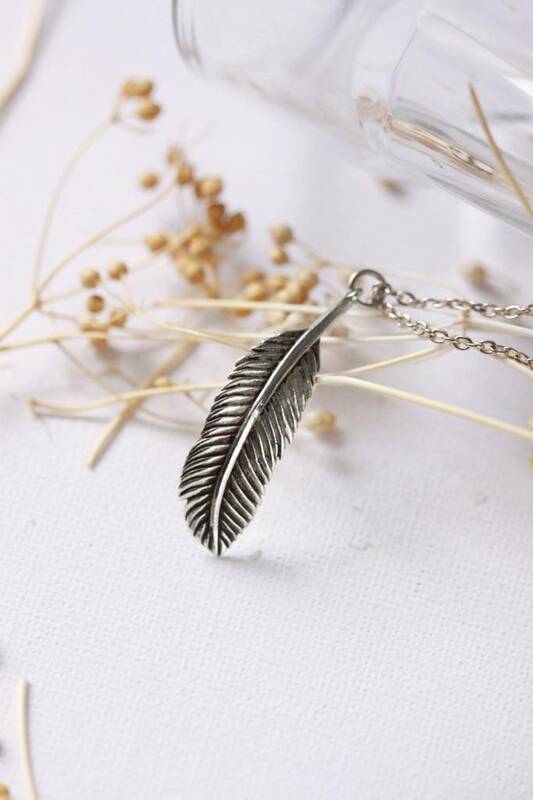 Also available in brass feather ring, painted feather necklace and painted feather stud earrings. The oils from your skin transfer to the metal and must be washed off periodically.